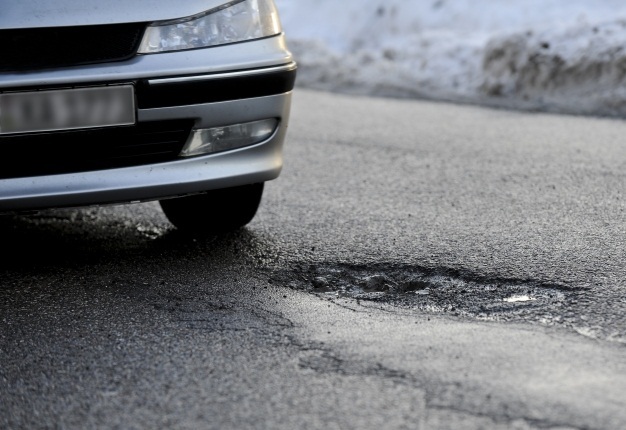 The bad news is that heavily potholed roads in many parts of South Africa and other countries are proving too much for certain cars - and not necessarily only cheaper models. Deteriorating and potholed roads and the proliferation of speed humps have increased the likelihood of suspension damage not only in South Africa but in many other “first world” countries. Perhaps a little surprisingly, it’s the more costly models such as Audi’s RS6 and the Mercedes R-Class that are more likely to suffer suspension damage than most, according to a study by insurance company Warranty Direct. Repair bills to get those two models safely back on the road are averaging R4350 a year. Fiat’s six-seater Multipla and the Jaguar XK sports car are the next most vulnerable, according to Warranty Direct’s UK data, with 29% of customers claiming for damages to axle and suspension components on their cars every year. Warranty Direct’s database of 50 000 policies shows that the most vulnerable vehicles are up to 30 times more likely to claim for suspension damage than the most robust cars. At the other end of the ‘risk scale’ are the Citroën C1 and Peugeot 107 (essentially the same car, and both sold in South Africa) are apparently impervious to pothole-ridden roads. Surprisingly, the Honda S2000 low-slung sports car happens to be one of the more pothole-resistant vehicles, too. David Gerrans, Warranty Direct’s managing director, says: “It is unbelievable how much variation there is from one model to another when it comes to suspension damage. “Any vehicle driven on damaged, poor surfaces regularly or used for commuting on routes littered with speed humps will eventually come to grief. London is particularly bad for the latter. Vehicles made by Honda, Isuzu and Toyota have the most robust suspension systems – brands readily available in South Africa. Less than three percent of cars made by these manufacturers suffer failures annually. Bentley, on the other hand, performs worst; 28% of its cars will suffer suspension damage in a typical year..